Travel, travel and more travel…by bus. From the jungle of Loja I took a bus at about 11:30pm to Piura for a 12 hour bus ride and a good $18 USD for a bus fare. It was easy and I slept the whole time, I was so confused when I woke up at 3 am to realize we were at the border. The border is so disorganized and didn’t make any sense to me. You have to get your passport stamped on the Ecuadorian side and then proceed to walk a hundred meters and get it stamped on the Peruvian side as well. The staff is not very friendly and the rules are unclear. Finally at 3:45am we were on the road again…until we got in an accident. I was so scared we hit something and there was a huge thud, screeching noise and a quick half stop. Everyone was curious and awoke abruptly from slumber. When we got out of the bus we realized that the huge bus plowed into a cow! The front of the bus was messed up from it but the bus driver decided it was still good to drive. Onward! I fell right back asleep and slept well. Upon arriving in Piura I was so confused and lost and disoriented. I felt so out of it and on top of that I didn’t have the Peruvian currency of soles so I was a lost puppy. I met a French girl and invited myself to join her because for one of the first times I was a little freaked out. I could tell she didn’t want me to go with her, but I didn’t care I just wanted to walk with someone and to feel more comfortable I forced it. We were going the same direction, south, so we both got tickets together. Another 3.5 hours from Piura to chitoga $15 PEU ($5.50 USD). I slept the whole time thankfully! I was tired! Once we got into Chitoga at 10 am the only bus to lima to Lima that was direct was at 8 pm. So I had to kill 10 hours in this busy, dirty town! Thankfully there was a place in the bus station for my bag. So I decided to search the lonely planet travel book (which I never use) and find out what to do in Chicalyo. 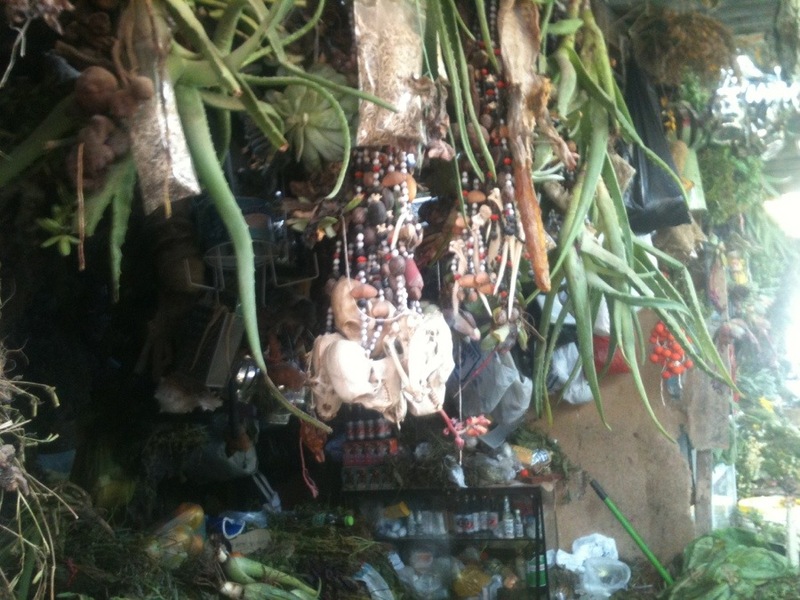 The only thing in the guide was the “witches market” where there were natural plants, remedies and potions. I got cleansed, met some lovely people and learned about the medicines and plants native to the area. 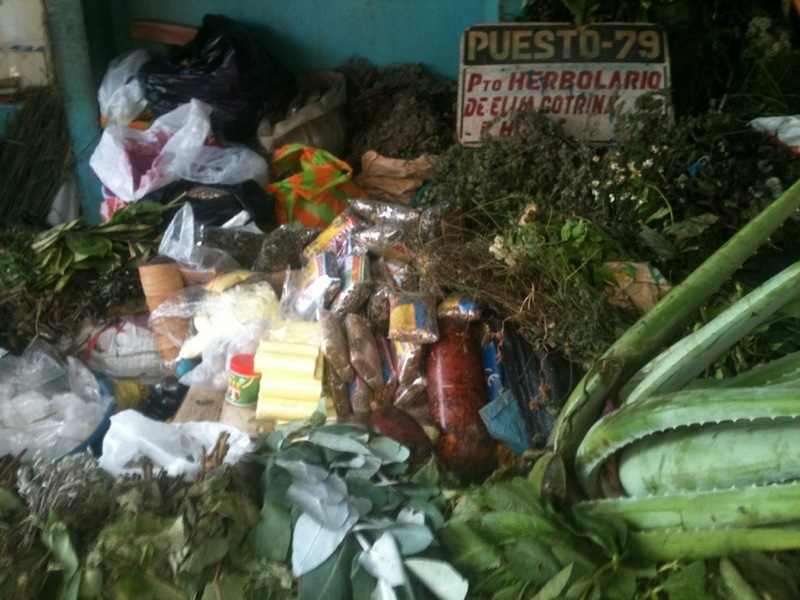 They were selling tons of magical and sacred medicines of auyuaska and San Pedro there as well. Finally as 8pm rolles around I boarded the Peruvian bus to Lima. 13 hours at $75 PEU ($27.5 USD). I was blown away at how luxurious and fancy the double decker buses are compared to the Ecuadorean and Colombian ones! Talk about VIP first class – dinner, drinks, dessert and quiet included. I have to admit I kinda missed the constant loud blaring noise of rigaton music the whole time…not! I stayed in Lima just for the night. It’s loud, dirty, full of advertisements, and people don’t look you on the eyes or say “happy eating” like they did in Ecuador. But, different country, different culture. Definitely different energy, I haven’t been to a big city in months! Off to Cusco now!